† Gibbons  sequences the first set very differently from Scott. 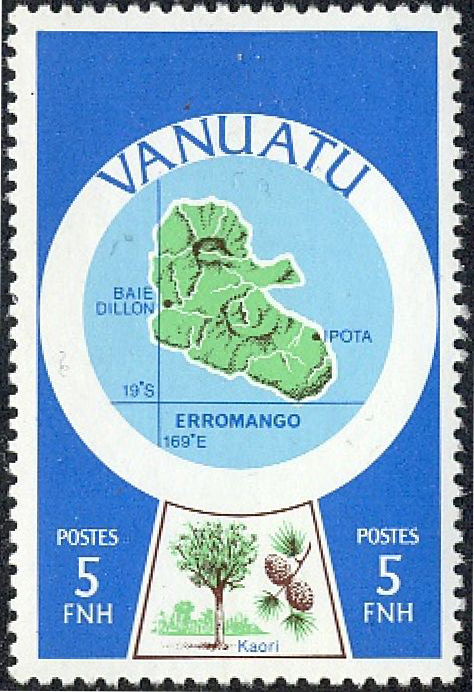 These islands in the South Pacific first used the stamps of New South Wales and New Caledonia until the 1906 Anglo-French condominium led to the issue of overprints of Fijian stamps in English and New Caledonian stamps in French in 1908. 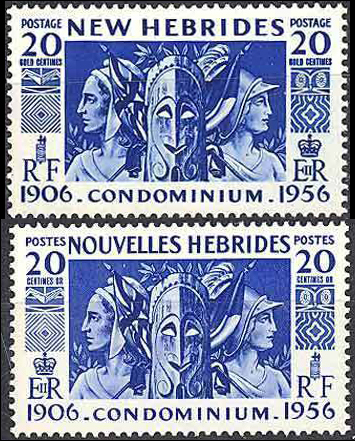 It is worth noting that the 50th anniversary of the condominium in 1956 was commemorated with a set of stamps including a design showing the figures of Britannia and Marianne beside a local idol. 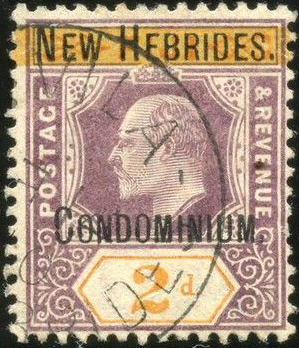 New Hebrides achieved independence as the state of Vanuatu in 1980. 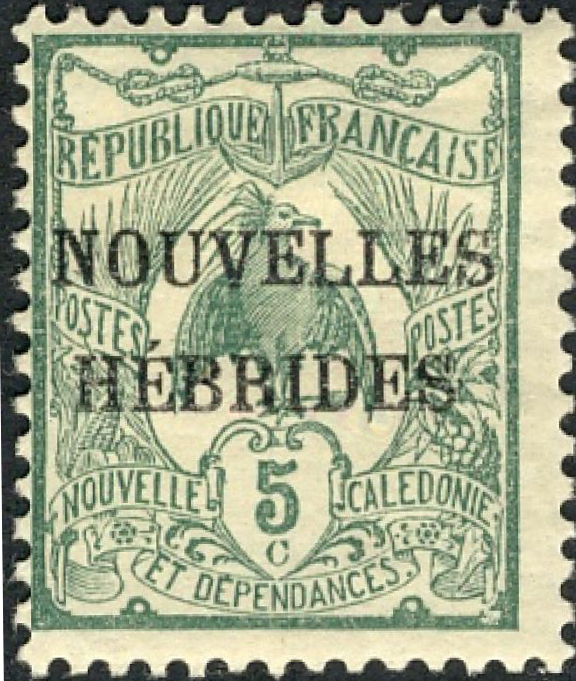 Sources: ScS, SGP1, SGP6, JM4.